Chief Blur Buster wrote: I'll give that a spin on my 240Hz and 480Hz monitors with my GeForce GTX 1080 Ti. I don't think I'd have a problem playing 1080p 480fps with MPV on it, since it can play 8K60. Which is similiar bitrate as 1080p960. 720p 240fps should be easy with my GPU. I have only two rendered 1080p960 videos on my hard drive I'm trying to upload to share. They're videos I took in McDonough, GA in 2017 and worked two weeks on to sharpen and render to 1080p960. The actual resolution is 1080p960 but I saved it in 1440p960 for a clearer experience on YouTube, even though YouTube caps the frame rate to 60fps. But that leads me to a question. How much would it cost to have a Desktop built for 1080p960 and a monitor capable of at least 1080p at 480hz? Chief Blur Buster wrote: Just downloaded. It plays amazingly smoothly on my 240Hz monitor at only 18% CPU! Just very slightly dizzying because of the head movements (a solid mount for future, perhaps?) -- Eventually I'd love to see a future 480fps video at 960x540p that's simply a horizontal pan looking out sideways, non-shaky video solid mounted to vehicle -- should look relatively clear (1/8th the motion blur of 60fps video) when displayed at 480Hz. My GeForce GTX 1080 Ti has no problems playing 720p 240fps realtime at full speed in MPV and Windows Media Player. Both FireFox and VLC plays full speed but it microstutters too much -- it's not framepacing the frames perfectly onto the refresh cycles. I don't think I'd have a problem playing 1080p 480fps with MPV on it, since it can play 8K60. Which is similiar bitrate as 1080p960. 1080p960fps requirements is hard to estimate. I need a test file to see if I can play it in real time. It may require a Titan, but the envelope may barely be within my existing card, since 8K60fps is the same number of pixels per second as 1080p960fps. And I can do 8K60. Currently, 480Hz is the maximum that has successfully been achieved with Windows at the moment. The highest Hz for 1080p is 240Hz since 480Hz is availabe only at 540p. Guesstimate entry level system cost for 240fps is $1000 using midrange Radeon/Geforce and cheaper 240Hz for $380. If you want 480Hz, you need to buy http://www.zisworks.com/shop .... get the preassembled one, it is under 1000 dollars. It does 4K120Hz, 1080p240Hz, 720p360Hz, and 540p480Hz. True, genuine, unfaked frames. Good for UltraHFR experiments. Guesstimate for 960fps UltraHFR will be much higher. And you'll have to stick to a 240Hz or 480Hz display initially. Basically, literally a excellent VR-rig specs system (ala Oculus, Vive), using 1080Ti or Titan, and a M.2 SSD. That is the specs of my system. Approximately 4 grand. If you just want cheap 240fps realtime 1080p UltraHFR, you can go for much less - lesser systems than mine can easily do 1080p240fps UltraHFR realtime. I have created a new thread based on the findings of this thread and others. QuickStart: Begin UltraHFR Video Making! It is incomplete information, but it provides a short summary of what it takes for UltraHFR content making. Ok, I will take the video handheld with a gimbal (perhaps?) in the future.I'm so happy you watched my video at 240hz, how clear was it? (I only have seen up to 144hz at a store) Omg, can't wait for a true 480fps video camera with sound to come out! 1/8th motion blur of 60fps is pretty close to real life! 1080p 480fps is absolutely exciting, I haven't even seen a 240hz monitor still. This is good to know, so MPV, Windows Media Player and Chrome are good, but VLC needs work, Gotcha. Side Note: I used a small rubberband and strummed the rubberband up to 2000hz and found that there is still a slight stroboscopic effect at even 1000hz vibration, but at 2000hz they're none! 8k60 sounds phenomenal by the way. Chief Blur Buster wrote: If you want 480Hz, you need to buy http://www.zisworks.com/shop .... get the preassembled one, it is under 1000 dollars. It does 4K120Hz, 1080p240Hz, 720p360Hz, and 540p480Hz. True, genuine, unfaked frames. Good for UltraHFR experiments. I will ask Zis. I have heard about a second manufacturing run later this year. Chief Blur Buster wrote: I will ask Zis. I have heard about a second manufacturing run later this year. It's hard to imagine that any consumer-level panels right now would work at 1000Hz, at least for an acceptable image quality. I got word. 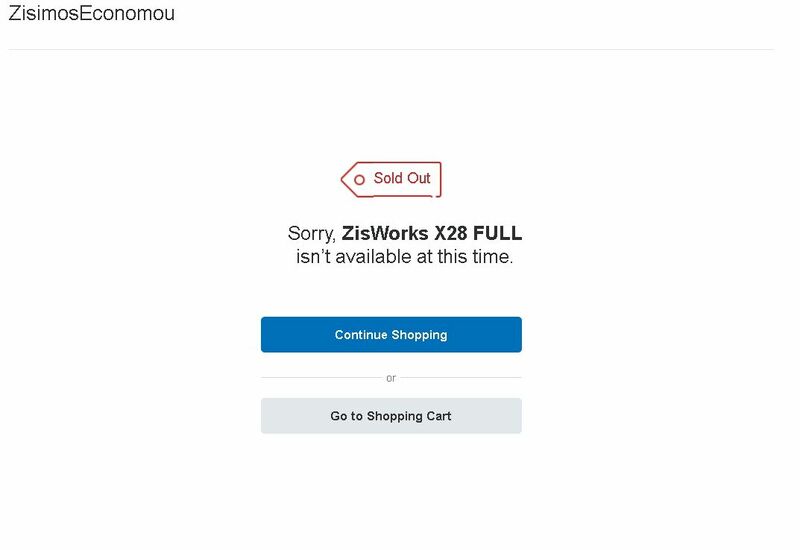 Zisworks tells me a small quantity of 480Hz monitors (of the current run) will be back in stock in a few weeks. You'll just have to sit tight, email him for an update. Small refinements, plus the addition of good overdrive (which the 480Hz panel doesn't have) -- to TN LCD panels will probably be able to bring LCD to roughly ~1000Hz within ten years. With a lot of hard work, TN LCD pixel transitions can be pushed to roughly ~0.5ms for GtG10->90% curve -- AOC reportedly has achieved doing some of that already. The Zisworks panel slower than that. One big limiting factor is the manufacturers will need to add more high-bandwidth LVDS channels to a panel, to do it at full resolution at full refresh rate. Before then, DLP chips are the cheapest way to get 1000Hz today. Right now, today, it really takes just only $200 of FPGA modifications to turn a cheap $700 projector to a 1000Hz projector, but it requires a FPGA super-genius and a ton of programming time to pull off. I bet Zis could handle it. Right now, the market is too small, but 1000Hz fundamentally isn't necessarily expensive when we're talking about DLP chips. Also, bitdepth severely goes down, so multiple DLP chips needs to be multiplexed together to get the bitdepth back. Regardless, ~2025 is my prediction for true-1000Hz display refresh rates. Long wait though.